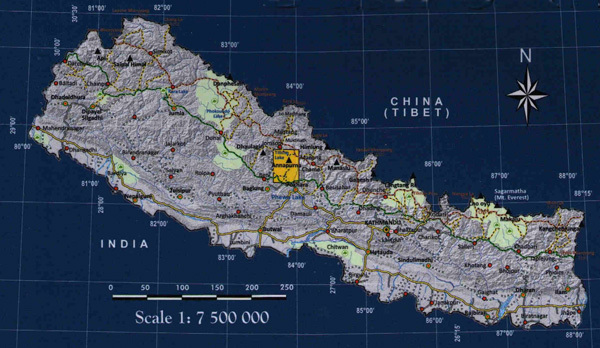 Map of route from Pokhara to Annapurna South Base Camp. Includes an elevation diagram of the route. If you are heading this way make sure you get a copy of Maurize Herzog's classic book Annapurna and read it before you go.